Hello everyone and welcome to my COLLECTION of maps from all around the world, forgotten server and permission from that person. (if that person does't died and yes! it finally for more new maps on server! and sorry about delay of the new maps i kind boring and think a lot of maps that i going summit it to server. Let's start off with simple maps that I found on china server when, they is active players going on. Main Post Maps That is: most interesting, look good, forgotten, old and so on. The first maps is "Night Tower" this map have story too! the story is: mercs got new job to go investigate the factory of "Purple Cliff" that have something not right about the factory but, the plan not going well at it was. All mercenary got trap inside factory with full of un-dead and they will survival to find a way to the top of building for chopper! 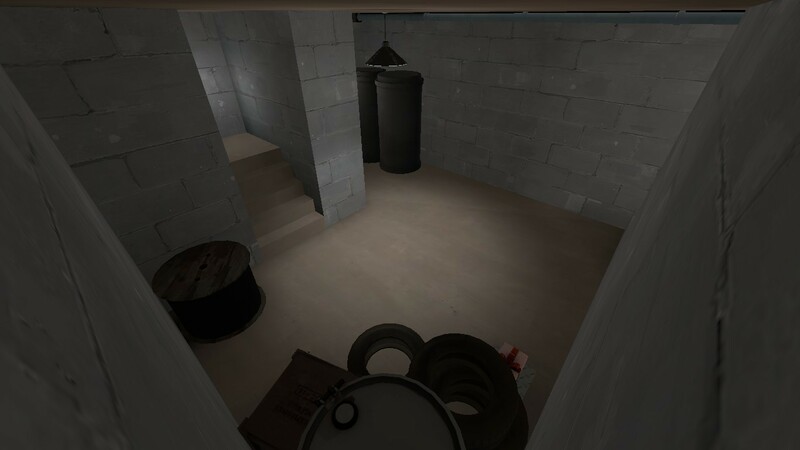 Overall: This map have a lot of hallway and a lot of zombies that going to kill you! so, you guys should better run when capture points. UPDATE: zf_nighttower_v1a have problem on last point for zombies to spawn on it (I forgot to test it before summit) so i have to downgrade to zf_nighttower_v1_21. The download link is update to "zf_nighttower_v1_21" right now! Overall: not very difficult or this it if you group up with another humans you will be fine. Next is "Silent Hill" Found on Korea Server (But, I can't find it now the server is gone but, i have the maps files ) a small area with heath and ammo a little bit and A LOT OF FOGS! The Zombies will spawn on the hill if someone rocket/sticky jump over the wall will died you know get swarming by zombies team on the hill without heath kit. Overall: Too fogs! very difficult if you get overrun! This map kind WIP map but, still can be playable! and the mapper who made is map say: his computer got clean up the backups files he got on just gone too so yeah. oh right! 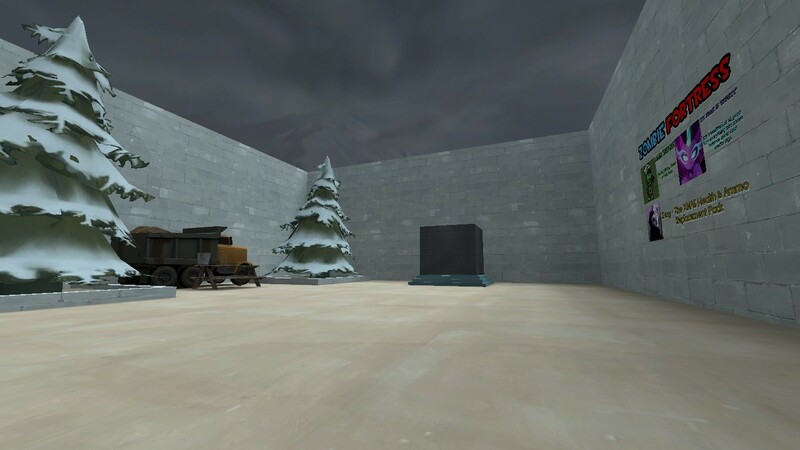 The Name of this map is "Under Lumberyard (Alpha Version)" It a under ground of Lumberyard arena mode. Welcome to "zf_warning_a01" when i first try play on this map it kind have felling of counter strike zombies map in side of it. Overall: Just try to survival not that hard at all. UPDATE: I think should revisit is map and add some few thing there and then, find some picture spark my idea. I think i saw something on CS, CS:S and CS:GO map. 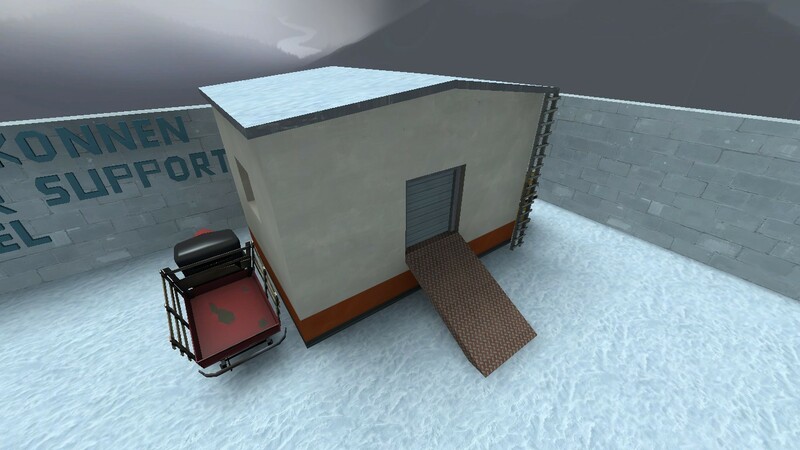 Next map is: "zf_woodfort_B2" survival in very small room in wood fort when zombies try to overrun all the humans in wood fort. UPDATE: This map i'm going edit and make it more details soon. *If i'm not lazy for it. 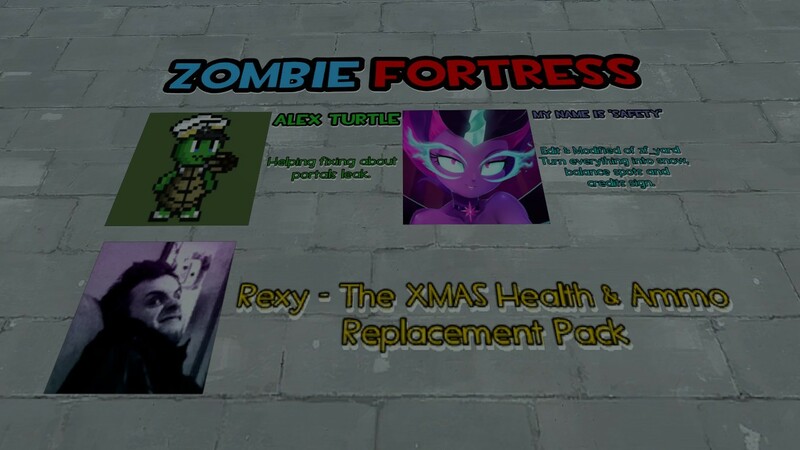 * Thanks to some video on youtube found this server and making history of "Zombie Fortress". Next, This "The Mall" from L4D2. I know you see a "ATG Clan" yes this it from ATG Clan but, the files maps kind very hard to find but, i found it! Overall: It just like the old time again. A Dead Center but, survival mode. 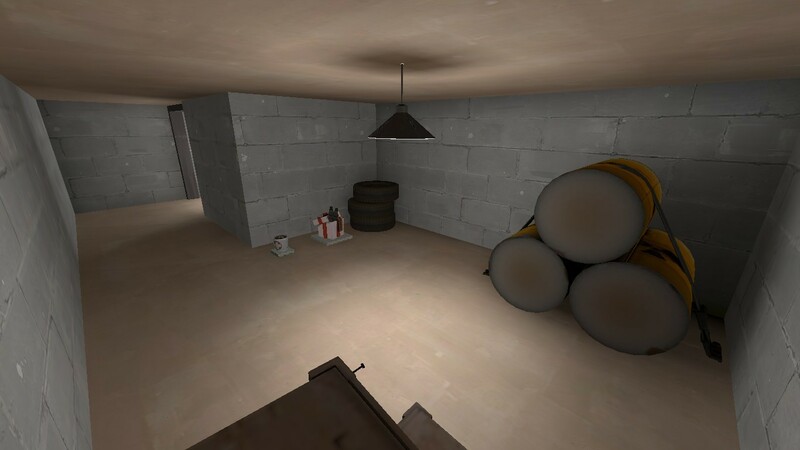 Next, This "Dust Nuke" The Defend Bomb Map! The Bomb have 3 Layers of glasses to zombies to break it but, the 3 layers of glasses kind very hard to break it down too. so humans team don't get overrun! 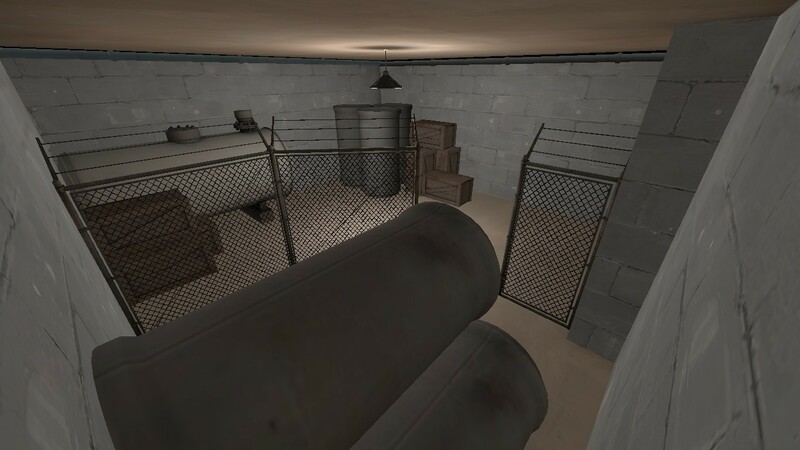 Overall: Hard map very big giant room in this map and a lot of full heath kit and ammo boxes too. 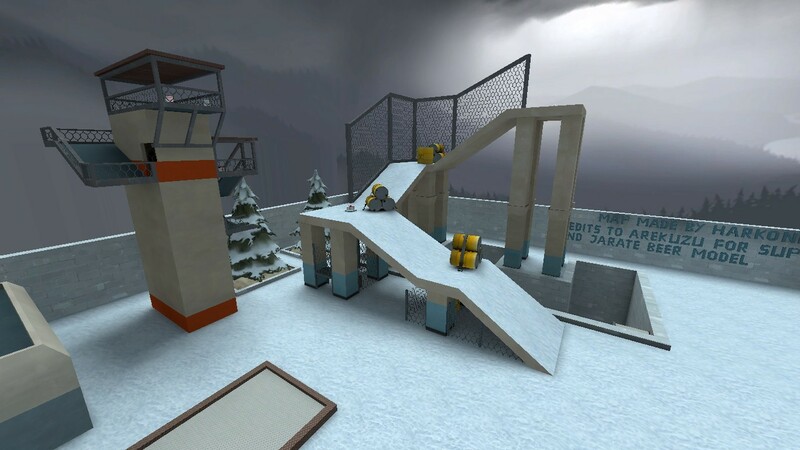 UPDATE:This map I got some feedback back in a days when, we all are playing on with. I think I should edits this and make it better and ever you see in you're life! 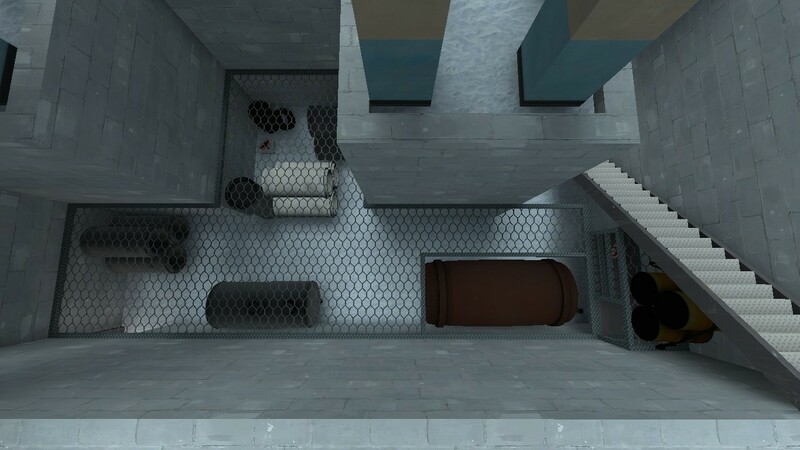 Hi, I have good news about "pen15" I know you hate/love that map by Alex Turtle aka TurtleWithHat now... I go ask him about permission to use his map! now gear up your weapons, skills, friendship and TEAMWORK! to win this map AGAIN! welcome to "zf_pen15_v10" before go any far from here let's us recap "zf_pen15_v2" look like. Pretty cool ha?! and This new version have "Level 2" yep! "Level 2" when your defeat the boss level 1 and round is reset to new round and new arena everything your know will be on FIRE! with EPIC! Sound Effect play on background! I can't spoiler to much you have to find it yourself. Overall: It's always a good time have some FUN! Coming Soon. After know how to making a maps, and that is what to do now the days! maybe, just maybe i'll come back to it. *This reply to minimum my post for people who want a quick accept download and new maps. Good News: This map everyone know how bad this it to play and beat this. Me (Safety) will make it from "GROUND UP!" that mean, new path, new spawns, captures point and so on! Bad News: If i'm not been lazy first and waste my free time for NOTHING! Happy holiday everyone! and Merry XMas 2017! OK, You may know now by read a tittle. it a new snow or xmas theme map for this server! and everyone who found this topic too! enough chit-chat let's all see a screenshot of this map! NOTE: The version of a map will change every YEARS. If you have some very quick feedbacks just let's me know! - Adding Mann Power Ups Secret Spot. (Haste) Last Long To Pick-Up For 3.50 Sec. Hotfix for v1: - Nerf Secret Power Up! Pick-up to 1.00s before it gone forever and change "Haste" to "Precision" Power Up. - Change Teleport's Location From Sky To Ground. v2: - New Lighting, Custom Models and Overlays. - Tower Meta no longer overpower spot any more and buff func_breakable from 300 to 500. Hey! Hey! Hey! Everyone Yes as you see the title of this reply and title of topic the new map is here and make something spice things up. Keter has been request for me to make some new look out of zf_silenthill so, yeah i spend some of my free times from school making this map. Overall: So Dusty, So Foggy and So Hard To See!